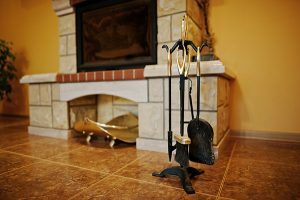 A fireplace is a very attractive feature to have in a home and adds quite a bit of value, but over time they can start to show signs of wear and become dated. 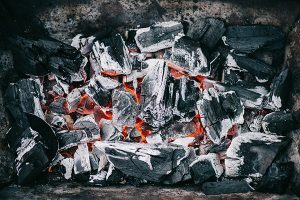 Instead of tearing out your fireplace and installing a new one – which is a messy and costly endeavor – a much easier solution is fireplace refacing. According to Dictionary.com, refacing literally means “to renew, or repair the face or surface of (buildings, stone, etc.)”. Fireplace refacing is much more affordable and can be done by almost anyone! There are many different ways in which you can reface your fireplace. Choosing the right materials to suit your taste and the style of your home is the best place to start. There are numerous options available to homeowners: stone, concrete, tile, and wood are just a few. Below are a few ways that you can turn your dated fireplace into a showcase piece. Tile is one of the most common materials used on fireplaces. Not only is it easy to maintain, it comes in a wide variety of colors and sizes and is one of the simplest ways to update any fireplace. Tile comes in a wide range of price points, but there’s a plethora of very affordable options, making it one of the most economical ways to tackle a resurfacing project, especially if you do it yourself. Adding tile will freshen up the look of your fireplace, but if you want to make a drastic change, you can take the tile all the way to the ceiling. Floor to ceiling fireplaces make a huge statement and add visual appeal; the higher the ceilings, the greater the impact. Nothing is quite as beautiful and timeless as natural stone. Adding a large marble slab is costly but will surely impress your guests. Granite and quartzite are more affordable options than marble and easier to maintain since marble needs careful attention; you can use a large slab of quartzite to mimic the look of marble or opt for granite tile which is available in various colors and sizes. Limestone, travertine and slate are other gorgeous options that’ll create a lasting impression any time you entertain. Stone comes in many different sizes and textures allowing you to create a stunning focal point in your home. Natural stone requires delicate care and more maintenance than regular porcelain or ceramic tile. Make sure you’re willing to invest not only your money, but also your time, into caring for it before choosing this as your refacing option. For a more modern or industrial look you can try adding concrete to the face of a masonry fireplace. 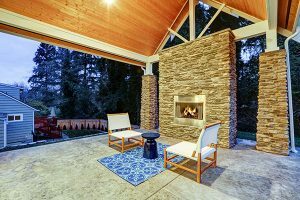 Depending on the type of fireplace that you currently have, adding concrete can be a fairly quick and easy project that you can do yourself. Floor to ceiling concrete, smoothed over the face of your fireplace, creates a cool and modern vibe. Concrete can also be a stunning complement to natural wood floors. If grey concrete isn’t your style, you can purchase concrete paint in an array of different colors or even give it texture for additional customization. 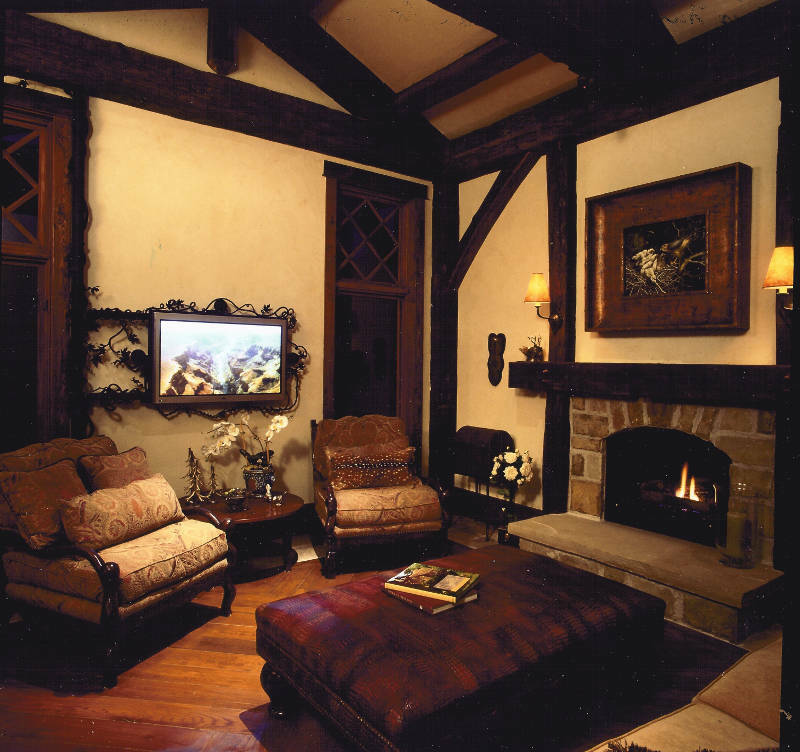 Wood is a traditional and warm choice for a fireplace. Add custom woodwork to the face of your fireplace for a gorgeous, classic look. Wood comes in many tones and can be left untreated to suit a rustic style or smoothed out and painted to set the tone for a more traditional atmosphere. Reclaimed wood is very popular and can be used to cover any existing façade. On the other hand, adding custom molding can dress up a fireplace in a range of different styles. To accomplish this look, you can use wood paneling, beadboard or larger planks of wood. If you’re looking to create a stunning work of art with a detailed wood surround, consider hiring a carpenter. Can’t decide what materials to use? Try combining more than one. Stone and wood complement each other beautifully. It’s not uncommon to find fireplaces that have a combination of different materials. Wood goes with just about anything. Add a wooden mantel to a concrete fireplace or use marble with a wood surround made of paneling and molding. Don’t like marble? Try tile or slate. Your choices are endless and any of these combinations are sure to wow your guests. A quick and simple upgrade to any fireplace is a new mantel. 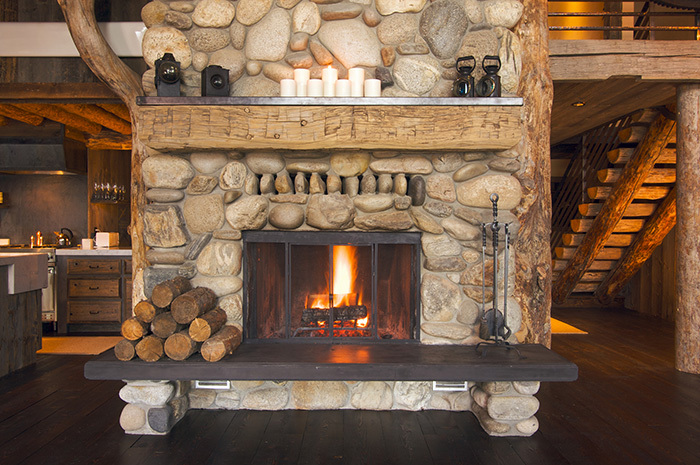 Although some may disagree, most would say that a fireplace is incomplete without a mantel. Still, some homes don’t feature a one at all or have one that’s too small or underwhelming. By adding a beautiful mantel made of wood, stone or even metal, you’ll transform your fireplace instantly. Mantels serve many purposes. You can decorate yours to feature your favorite flowers, a decorative mirror or showcase your most treasured photos and collections. Not only will a mantel dress up your fireplace, it’ll serve as an attractive centerpiece for you and your guests to enjoy. Make your fireplace shine by making it the focal point of your built-in bookshelves. By adding molding and bookshelves around your fireplace you can set the stage for a warm and cozy atmosphere. Fill the shelves with books and you’ll be ready to curl up next to the fire with a large mug of hot cocoa. No matter where your fireplace is located, if it looks out-of-date or worn out, it’s time for fireplace refacing. The ideas above should help inspire you to transform your fireplace and change the overall look of your home. 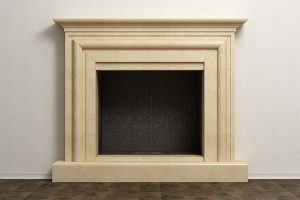 Speaking of fireplaces, Early Times offers Chicago and Chicagoland homeowners with many different styles of fireplaces to choose from. If you need yours replaced, we have gas log fireplaces, ventless fireplaces and many other options available. Get a free quote now and get started with your fireplace makeover today.